The shoe made with vintage lovers and modern women in mind. Australian brand Charlie Stone creates vintage style footwear, instilling the timeless elegance of the 1930-50’s era in uniquely comfortable designs made for everyday wear. As a vintage fashion enthusiast, owner Samantha Capello struggled to find high quality and elegant footwear that could be worn for endless hours every day. A huge fan of swing dancing, she wanted the perfect footwear to work all day and dance all night. 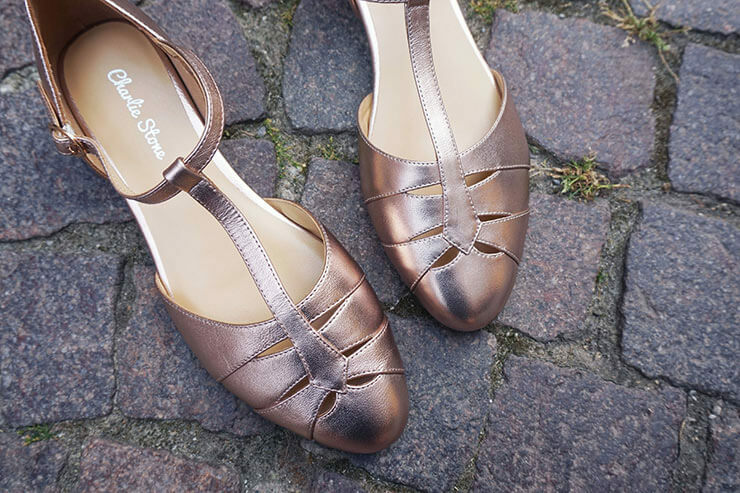 Tired of compromising with chunky oxfords and flats shoes that had very little character, she created Charlie Stone. Her mission was simple, to make shoes that looked like her favourite heels on the surface that were blissful to wear. Inspired by the elegance of Italian fashion and culture, Charlie Stone shoes are designed to have a timeless and versatile look to match both vintage and modern wear. With elegance as the keynote of every design, each shoe has a unique hidden mini wedge that elevates the heel ever so slightly to reduce shock impact on the knees and feet. 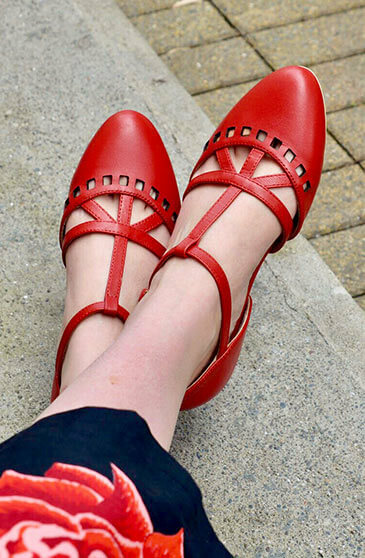 While most Charlie Stone Shoes are handmade with leather, Charlie Stone will launch a new line of non-leather designs at LondonEdge 2019 to cater for the popular vegan market. Along with the original best sellers, Samantha will also unveil a new line of European-inspired vintage style handbags and a limited-edition black label collection for us. And the name, ‘Charlie Stone’? It was born from Samantha’s misinterpretation of her partnersaying ‘Charleston’ (the 1920’s jazz dance) in his Italian accent. True story! Enjoy this stylish yet comfortable phenomenon at Stand VG39 at LondonEdge 27th & 28th January 2019, Business Design Centre, London, N1. UK.